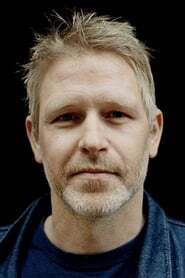 Trond Espen Seim (born October 4, 1971) is a Norwegian actor. He has played private detective Varg Veum in a series of films based on the eponymous series of novels by Gunnar Staalesen. On 18 March 2010, Seim was cast in the 2011 The Thing prequel, which was released on October 14, 2011 in the United States and December 2, 2011 in the United Kingdom. Description above from the Wikipedia article Trond Espen Seim, licensed under CC-BY-SA, full list of contributors on Wikipedia.